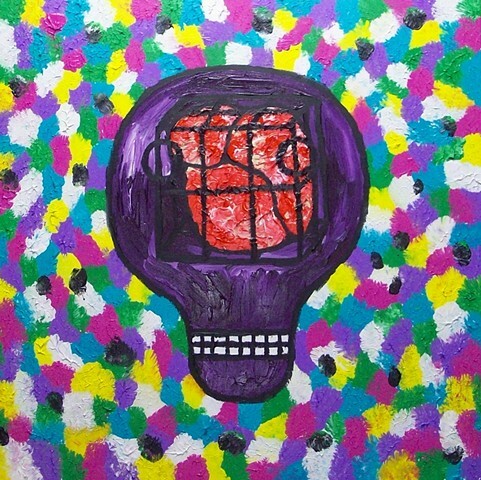 "Caged Mind Violet", represents how a mind can be wasted. How many people actually get to reach their potential? There can be many road blocks to this. Economics, social deficiencies, etc., can lead to a mindless repetitive type of existence. This Painting shows the hopelessness, and frustration of the mind that is invisible.